Three is a wonderful number - especially when it combines (1) white sand beaches, (2) the blue Caribbean Sea, and (3) international gourmet food all in one place! Add clear skies, sunshine, and warm temperatures, and you have Playa del Carmen: a beautiful beach town in the Riviera Maya near Cancun, Mexico. With its strong international flavor, Playa del Carmen is the ideal location for the Taste of Playa culinary festival. 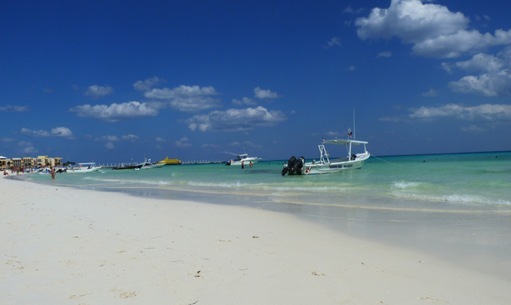 With the town's growing reputation as a food mecca in the Riviera Maya, the Taste of Playa concept naturally evolved from the 700 town restaurants and 1,000 regional restaurants. A group of local business owners decided Playa del Carmen's gift for creating delicious international cuisine would be an additional draw to the region's tropical rainforests, beautiful beaches, and cultural attractions, such as the Mayan ruins. Introduced in 2009, the festival was such a success that it's being offered again with 40 participating restaurants, sponsored this year by Yucatan Holidays. 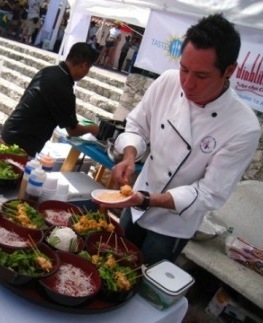 Presenting the diverse culinary talents of extraordinary Riviera Maya chefs who will introduce the public to a wide variety of delicious international foods, the 2010 Taste of Playa festival is sure to be just as successful. American celebrity host and Travel Food Expert, Mark DeCarlo, joins local chefs at the festival to conduct food demonstrations of regional recipes and preparation techniques. DeCarlo, best known for his role as host of the hit food-comedy show on the Travel Channel "Taste of America with Mark DeCarlo," will be staying at Playa del Carmen's all-inclusive Hacienda Tres Rios Resort, Spa & Nature Park. Introducing his new book "A Fork on the Road: 400 Cities One Stomach" to Mexico, he will also be autographing copies. A community-focused program, Taste of Playa will donate proceeds from the festival to a food education program, developed by Playa del Carmen's Rotary Club, which benefits the Riviera Maya children and families. On Sunday, November 21st, this culinary event will be held at Parque Fundadores on Playa del Carmen's beautiful beaches. Join tourists, expatriates, and locals for a diverse, culturally enriching experience. Are you planning to join us? 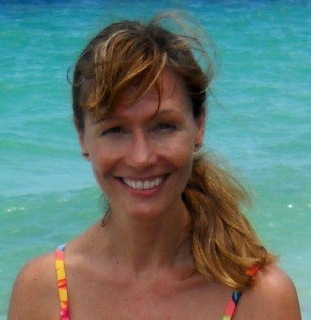 Christina Famiglietti is a professional writer and editor with experience in various industries. Her most recent passion is the Mexican Caribbean, where she lives and is inspired to write about her beloved Mexico — its nature, culture, travel, and tourism.